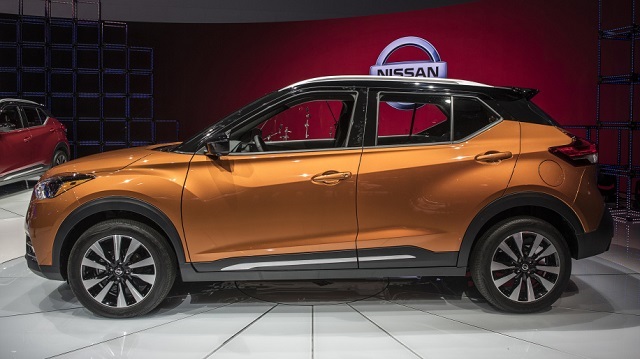 Recently introduced to the U.S. market, the 2019 Nissan Kicks will continue without bigger changes. This is the new smallest crossover in the company’s lineup. Although it came to North America, it is actually present for some time. The first time we saw this model was in a concept form four years ago. Still, the production started two years ago, when this crossover was advertised on the 2016 Summer Olympics, where Nissan was a general sponsor. Designed together by Nissan’s Brazilian and North American departments, it hits the worldwide market two years later, as the 2018 year model. It is available in North America, Europe, China and other markets. Since it is still pretty fresh, we won’t see bigger changes for the next year. The 2019 Kicks will continue in the same way, featuring the same design, powertrain, equipment etc. Expect its arrival somewhere late in the year. Speaking of design characteristics, this is a classic small city crossover. Based on the familiar V-Platform, it features subcompact dimensions, just like the more familiar Juke. Still, this one comes with classic SUV proportions, which make it far more practical. The 2019 Nissan Kicks will continue in the same way, featuring pretty spacious cabin, as well as generous cargo space. When it comes to styling, you can notice Nissan’s current design language. There are many distinctive details, especially at the front, where Kicks mimics its bigger brothers. Changes for the next year are not expected, so 2019 Nissan Kicks will continue with the same styling. Still, we could see some small tweaks. One of them is in terms of color. 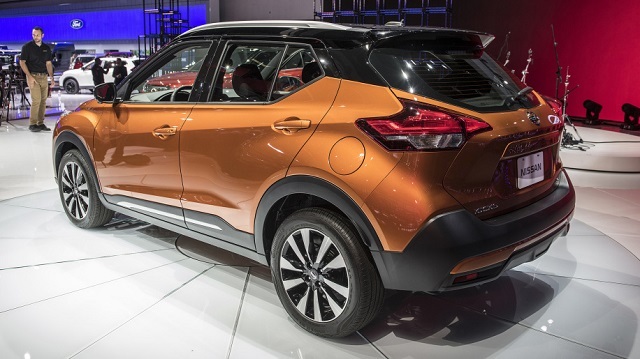 As you may know, this crossover comes in the so-called two-color exterior finish, with a painted roof. So far, there were four roof colors available in combination with various finishes of the rest of the body. Other tweaks in terms of styling are not expected. Despite its small size, 2019 Nissan Kicks will be fairly well equipped. Bigger revisions shouldn’t come for the next year. There are three trim levels in the offer – S, SV, and the SR. Even base models are full of advanced tech feature, so you can count on things like touchscreen, smartphone integration, Bluetooth etc. There are numerous safety systems as well. Forward collision warning with automatic braking is a standard feature in all models. On the other side, blind-spot monitoring with rear cross-traffic alert are optional, but standard already in SV models. Finally, some of the notable options are premium Bose audio system etc. 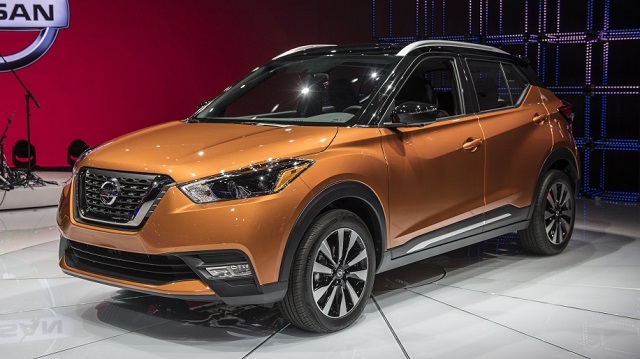 The 2019 Nissan Kicks will come with several engines in the offer, depending on the market. In North America, there is a familiar 1.6-liter unit, which is good for about 125 horsepower. Such amount of power seems a little bit small if we consider that most of the competitors have engines with around 140 horses. Also, AWD is not available. On the other side, fuel economy is great and goes around 33 mpg combined. On some other markets like China, you can also find a smaller 1.5-liter engine, which delivers around 99 horses. Finally, European drivers can also choose a diesel engine, which definitely provides better fuel economy numbers. The 2019 Nissan Kicks should come in usual time, which means somewhere late in the year, probably in December. Price will definitely remain unchanged, which means somewhere around 19.000 dollars for the base model. Competition in this segment is pretty tough. There are numerous quality models. Some of them are Kia Soul, Mazda CX-3, Toyota C-HR, Honda HR-V, Ford EcoSport etc.